Amnesty International has called upon Iranian authorities to release those who have been arrested solely for taking part in the protests. 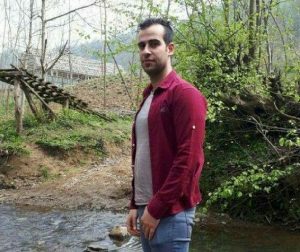 In an August 8th letter, Amnesty International also called for the authorities to conduct a prompt, impartial, and independent investigation into the shooting of Reza Outadi, a protester in Karaj who was killed on August 3, 2018. The Iranian regime has responded to the spread protests and demonstrations across the country over the past week, with violent suppression and widespread arrests based on reports from MEK network inside Iran. The letter from Amnesty International also urged authorities to protect those who have been detained from torture and other poor treatment and to reveal the location and dates of the dozens of detainees whose status has been unknown since their arrests. Among those detained by the regime is Human Rights Defender Nader Afshari. 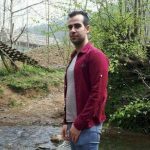 He was arrested by Ministry of Intelligence Services (MOIS) agents in Karaj on August 1, 2018. He is believed to be held in a secret facility, but his exact whereabouts are unknown. Amnesty International has expressed concern about reports that detainees who have been taken to Evin prison, Shahr-e Rey prison, and Fashafouyeh prison have not been given much if any access to their families or attorneys. Protests began on July 31st in response to the rapid decrease in value of the rial and quickly spread across Iran. Deep dissatisfaction with the regime and its policies caused the protests to shift rapidly from economic matters to calls for regime change. The MEK network inside Iran reported chants of “Death to Khamenei!” and “Death to the the dictator!” in cities across Iran. The regime responded to the protests with violent suppression, injuring dozens of people in the process. Videos taken during the protests and shared on social media show crowds of people running from the sound of gunfire. Reza Outadi was a 26-year-old man who went to a protest in Karaj on August 3rd and was shot to death. The regime’s Prosecutor General of Karaj said that Outadi was “killed by gunfire that came from protesters amidst the rioting that took place” in Karaj. He claimed that Outadi was “shot in the back and killed.” He further claimed that security forces were also injured as a result of being shot, stabbed, and hit with stones. Reports from the MEK network in Iran say that Outadi was shot by security forces who fired into a crowd of unarmed protesters. During last December protests, at least 50 protesters were slain by repressive security forces, some under torture, while the regime authorities had claimed they had committed suicide! The Fars News reported on August 7th that the regime’s Prosecutor General of Karaj announced that a special unit was to be set up to investigate Reza Outadi’s death. Amnesty International has expressed concern that the regime’s special unit does not meet the standards of impartiality and independence required under international law. Amnesty urges Iranian authorities to ensure that the investigation into Reza Outadi‘ dreary is both impartial and independent and that anyone who is reasonably suspected of criminal responsibility is brought to justice in a fair trial without the death penalty as an option. The United States Government has included the Iranian regime in a list of the countries labeled as “forces of instability” for their routine human rights abuse, emphasizing that the abuses that take place in these countries are “morally reprehensible”. The list comes after the Iranian regime denied access to the UN Special Rapporteur investigating the situation of human rights abuses in Iran. There has also been a steady stream of reports of human rights abuses coming out of Iran, including the imprisonment of human rights defenders. The Iranian authorities frequently imprison journalists, protestors, peaceful critics, filmmakers, students, activists, and lawyers for criticising the regime. Most concerningly, many of those seeking truth and justice for the mass executions carried out by the regime in the 1980s now find themselves behind bars. This was particularly apparent in the run-up to the presidential election last May. Journalists and bloggers were persecuted and arrested, some of whom received prison sentences of more than a decade and some had their assets frozen, and the country’s Association of Journalists has been indefinitely suspended. Social media outlets like Facebook, Twitter, and YouTube remain blocked in Iran. The authorities have also attempted to restrict musical expression. Women cannot legally sing in public, and President Rouhani has canceled concerts across the country. Solitary confinement and torture are routinely used in interrogations conducted by the Ministry for Intelligence and the Revolutionary Guards. Prisoners have received limited access to medical care and are kept in conditions which amount to torture, including limited access to food and hot water, limited ventilation and insect infestations. Torture is not limited to interrogations. It has also been used as a method of public punishment in Iran. For even relatively minor incidents, lashings can be handed out. Men, women, and children receive public lashings as punishment for crimes such as extra-marital relationships, attending parties with those of the opposite gender, and eating in public during Ramadan. A journalist in Najaf Abad received 40 lashings in January for inaccurately reporting the number of motorcycles the police had confiscated across the city. More severe crimes are awarded horrific acts of torture as punishment. In Kohgiluyeh, a woman was blinded as punishment for blinding another woman and amputations are frequently carried out as a punishment for robbery. A variety of non-lethal drug offenses carry a mandatory death penalty, with executions often conducted in public. There are also vaguely worded charges which allow the regime to distribute the death penalty to its political opponents. Mohamed Ali Taheri, for example, was sentenced to death for “spreading corruption on earth”. Iran’s judicial system has no independent mechanism to guarantee judicial impartiality and accountability. Judges are frequently appointed to their positions for their political allegiances, not for their qualifications or professional competency. Those arrested for political reasons are frequently denied access to an independent lawyer, instead of being forced to choose from a list provided by the Head of the Judiciary. There have also been reports of trails lasting just a matter of minutes before sentences were handed down, surmounting to little more than a show trial. Non-Shi’a Muslims are not permitted to run for political office in Iran. The Baha’i minority face arbitrary persecution, including arrests, the forcible closure of their businesses, the confiscation of Baha’i properties, and restricted access to higher education. The regime has also taken a lenient stance towards those who commit crimes against the Baha’i minority. Two men were released on bail in June despite admitting killing a man of the Baha’i faith. Christian places of worship are routinely raided, and if any churchgoers are found to have converted to the Christian faith, they can receive up to 15 years imprisonment. Any citizen that publicly advocates atheism is also subject to arrest and torture. Ethnic minorities are subjected to routine discrimination in employment and access to education and housing. Ahwazi Arabs, Kurds, Turkmen, and Baluchis often live in areas which have limited access to electricity and water. Limited access to education means illiteracy rates, particularly among girls, are high. Deprivation of basic sanitation and healthcare means infant mortality rates are high in these areas. Women in Iran are subject to widespread discrimination, with restricted employment prospects and unequal inheritance opportunities. Those caught wearing tight clothing or heavily made up in public face harassment and detention from the authorities. The wearing of the hijab in public is compulsory, and those who have attempted to campaign against it, have become subject to state-sponsored smear campaigns and regular harassment. 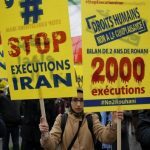 The manner in which the Iranian regularly abuses the rights of its civilian population should be a cause for concern for any international government that views itself as a human rights advocate. 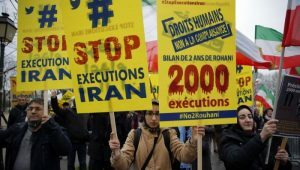 The international community must adopt a firmer approach towards the Iranian regime for the way it keeps its people in a perpetual state of suffering. Simon Wiesenthal famously said that “for evil to flourish, it only requires good men to do nothing”. The Iranian population is fighting on in their resistance to the Iranian regime’s human rights abuses. Recent protestors risked their liberty and lives to protest the regime. Now the international community must follow suit. They can do nothing, or the evil of Khamenei’s regime will flourish.